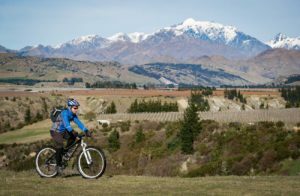 New mountain bike trails in Marlborough seem to be popping up everywhere, with one of the latest being the Black Birch Mountain Bike track. 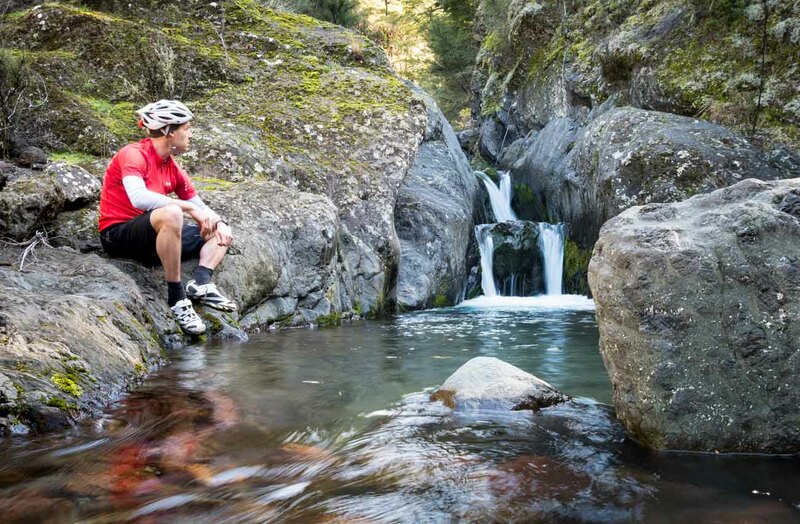 Located 18 kilometres up the sparsely populated Awatere Valley this is an unusual ride through a tract of native bush known as the Ferny Gair conservation area. Until recently this terrain was off limits although an easement has now allowed access to the trail. Keen to experience this little known area of Marlborough, we set off on a crisp winter’s morning, briefly crossing farmland beside Black Birch Stream before reaching the trail head. The double track then narrowed as the trail dove into dense Kanuka/Manuka forest. With bellbirds heralding our arrival and fantails leading us onwards, it felt as if we were heading into a landscape as it might have been a couple of centuries ago. This new track is, as you might expect, a bit rough. However that only adds to the feeling that you’re passing through Gondwanaland. 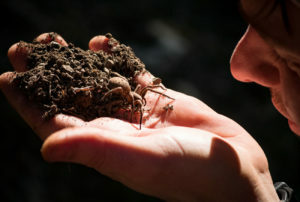 The surface was varied; creek crossings, mud, and baby-head boulders lying in wait amongst the long grass. There are also fast flowing sections that egg you on – at one stage I overcooked a corner and got clotheslined by a vengeful Kanuka branch. We climbed to a high point of 440 metres where a small clearing presented a chance for a well-deserved rest stop. We weren’t alone though, having stumbled upon the abode of an enormous bush spider, the likes of which I hadn’t seen before in New Zealand. We really were in the back of beyond. Onwards, and we finally began our descent. There was no time to get excited however as the trail halted abruptly at a picturesque water hole. This was the end of the road for us. In summer it would make a nice spot for a refreshing dip, but all that was left for us was to retrace our tracks. The return leg was great fun, an adrenaline fueled downhill rewarding us for the hard yakka earlier. I wondered if the Bellbirds were having a siesta; their chorus was gone and there was now only a Zen-like calm as the slippery surface and land mine rocks necessitated full concentration. Twenty minutes later we were back at the trail head although our day was not done. A ridge track branched off and snaked its way skyward. The DOC sign stated a 45 minute jaunt to the ridge and, despite weary legs, it just could not be ignored. It was a long hike, but 250 vertical metres later we broke free from the forest and arrived at the ridge. Like Bilbo climbing above Mirkwood, we were finally able to feel the wind on our face and get our bearings. Eastwards, the mouth of the Awatere gleamed in the wintery sunshine, whilst Blue Mountain rose to the south. We didn’t linger though, eager to top off the ride with the long switchback descent we had just toiled up. This was the highlight of the day’s ride. The first dozen corners are so sharp that there’s some inevitable tree hugging, but also plenty of satisfaction when you clear the challenging bits. (Work is continuing here, so it will become 100% ridable in the future). There were smiles on the dials all round when we reached the bottom and from there it was just the short farmland tootle back to the car. 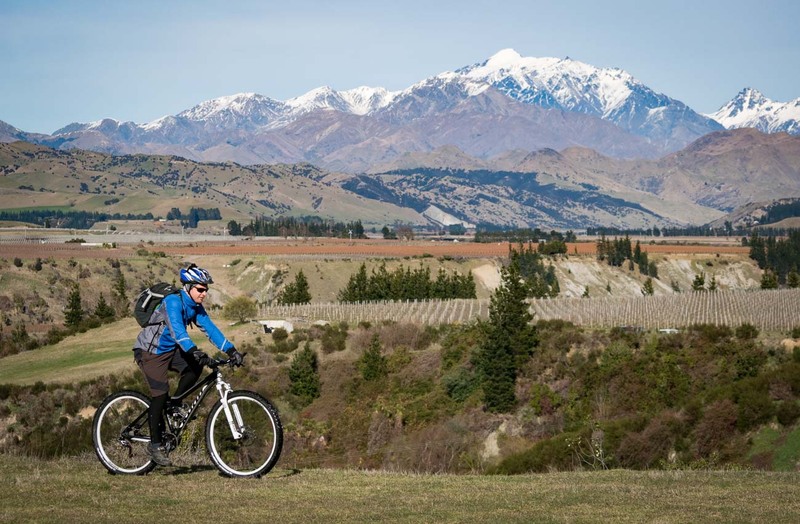 The Black Birch Mountain Bike track is a superb addition to Marlborough’s burgeoning portfolio of mountain bike tracks, and a real credit to those involved in its inception; Outward Bound crew, Air Force recruits, DOC, the Marlborough Mountain Bike club and more. It’s a great detour for tourists heading through Molesworth, or just as a day trip for those keen to experience another slice of Marlborough’s incredible diversity.